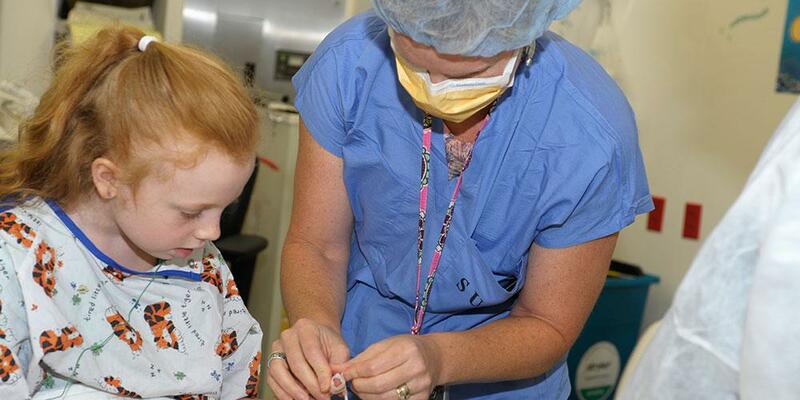 At Upstate's Division of Pediatric Surgery, our mission is to provide compassionate and family-centered quaternary surgical care for infants, children and young adults less than 18 years of age. While most of our patients live in the Central New York region, we also treat patients from the surrounding areas extending down to the Pennsylvania border and all the way up to Canada. Our experienced and diverse surgery team consisting of nurses, nurse practitioners, attending and resident physicians and various support staff provides outstanding surgery services at three locations on the Upstate downtown campus area in Syracuse, NY. We perform most of our surgeries at the Olivia Louise Pietrafesa Center for Children's Surgery located on the third floor of the East tower in the state of the art Golisano Children's Hospital. For some of our procedures we utilize the nearby Harrison Outpatient Surgery Center located a block from and adjacent to the main University hospital. Our outpatient Pediatric Surgery Clinic is located in the Physicians Office Building located across the street from the Golisano Children's Hospital.